In our previous blog post, we wrote everything we know about authentication tokens and Anisette data, which might allow you to bypass the “login, password and two-factor authentication” sequence. Let us have a look at how you can actually extract those tokens from a trusted computer and use them on a different computer to access a user’s iCloud account. Read Part 1 and Part 2 of the series. Extracting authentication token from a live system is as easy as running a small, stand-alone executable file you get as part of the Elcomsoft Phone Breaker package. The tool is called ATEX (atex.exe on Windows), and stands for Authentication Token Extractor. Using the tools is extremely simple. Make sure you are logged on under the user you’re about to extract the token from, and launch ATEX with no arguments. The file named “icloud_token_<timestamp>.txt” will be created in the same folder where you launch the tool from (or C:\Users\<user_name>\AppData\Local\Temp if there are not enough permissions). 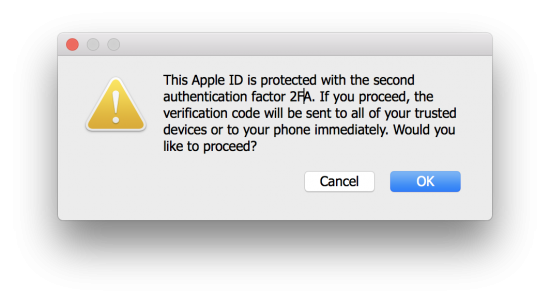 Since early days of iOS, iTunes-style system backups could be protected with a password. The password was always the property of the device; if the backup was protected with a password, it would come out encrypted. It didn’t matter whether one made a backup with iTunes, iOS Forensic Toolkit or other forensic software during the course of logical acquisition; if a backup password was enabled, all you’d get would be a stream of encrypted data. Password protection of iOS system backups was always a hallmark of iOS data protection. We praised Apple for making it tougher for unauthorized persons to pair an iPhone to the computer in iOS 11. Today we discovered something that works in reverse, making it possible for anyone who can unlock an iPhone to simply reset the backup password. Is this so big of a deal? Prior to this discovery, forensic specialists would have to use high-end hardware to try recovering the original backup password at a rate of just several passwords per second, meaning that even the simplest password would require years to break. Today, it just takes a few taps to get rid of that password completely. If you know the passcode, logical acquisition now becomes a trivial and guaranteed endeavor.